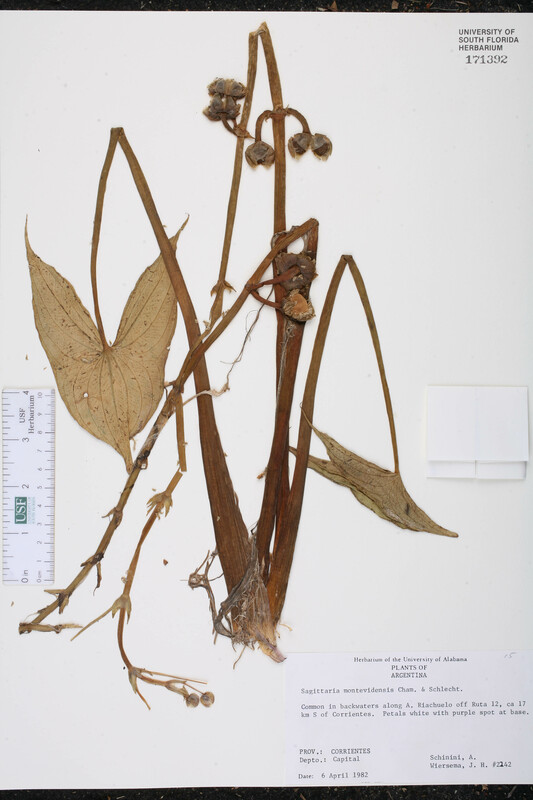 Determination History: Sagittaria montevidensis Cham. & Schltdl. Locality: USA. Florida. Santa Rosa Co.: Milton, at Carpenter's Park. Description: Petals white with purple spot. Habitat: Landscaped ditches where aparently naturalized with Nymphaea capensis. 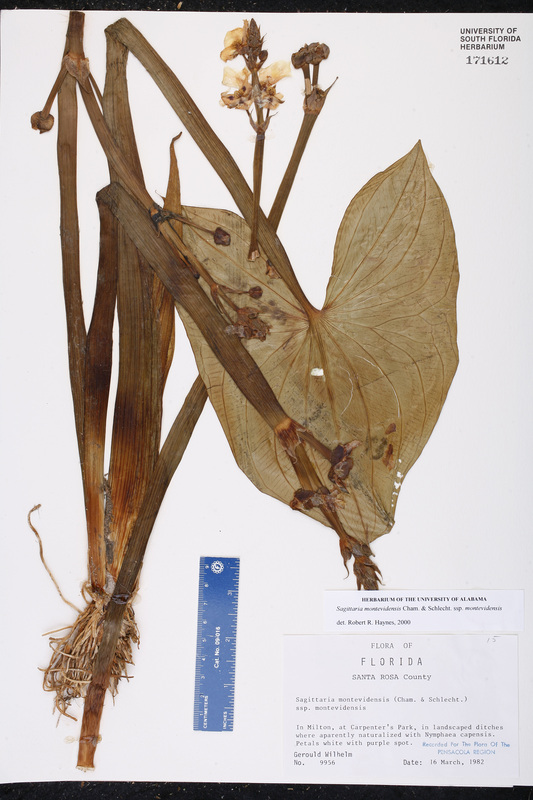 Currently Accepted Name: Sagittaria montevidensis Cham. & Schltdl. Locality: Argentina. Corrientes Prov. Capital Dept. : Along A. Riachuelo off Route 12, ca. 17 km S of Corrientes. Description: Common; petals white with purple spot at base.